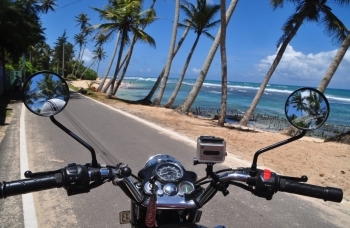 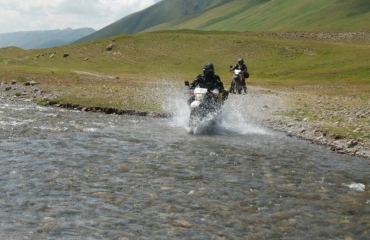 The motorcycle trip and 4x4 and UTV guarantees beautiful views, high mountain passes, adrenaline. 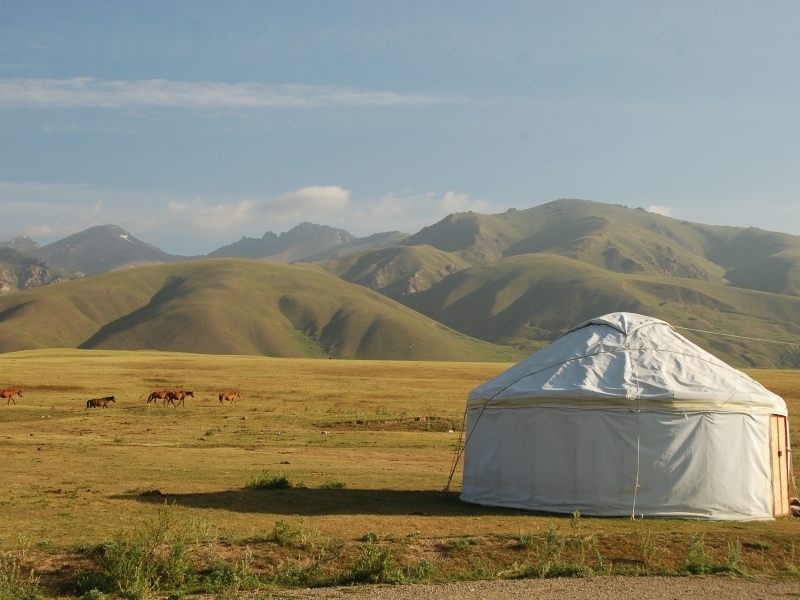 We sleep in yurts, enjoying the wild nature that surrounds us. 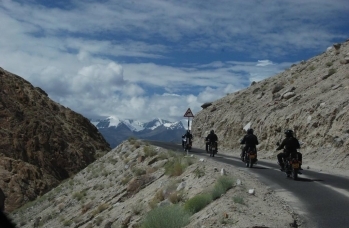 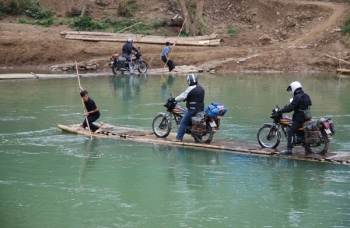 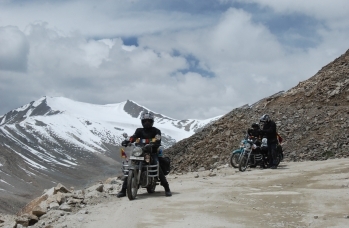 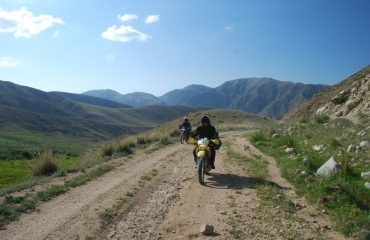 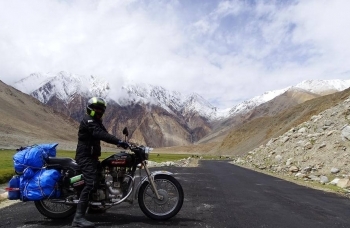 The motorbike expedition takes place in most of the gravel sections of the mountain, mostly of pastoral routes. 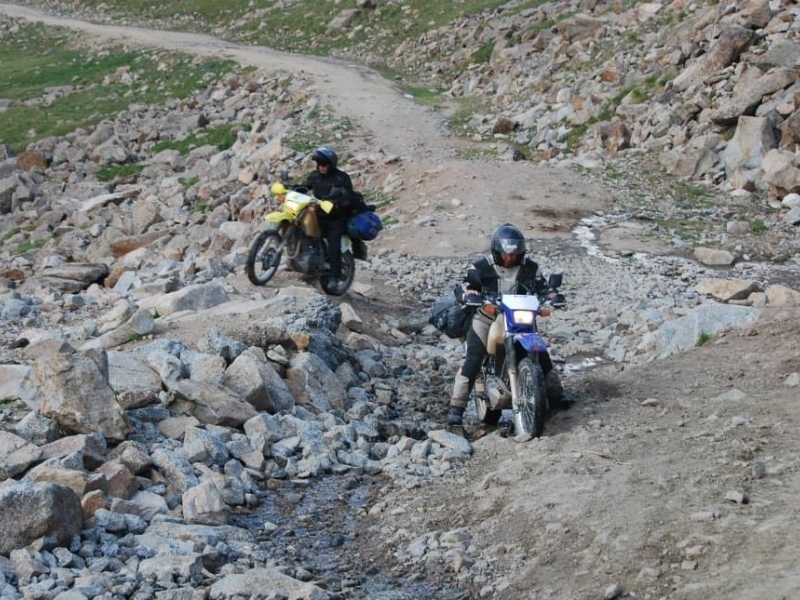 On the way canyons, passes and high mountain lakes. 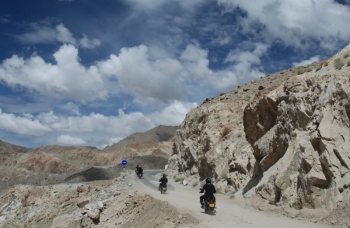 Sometimes we will come across ancient frescoes and paintings placed in the roadside caves. 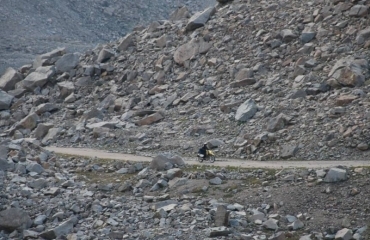 The route is from easy to heavy. 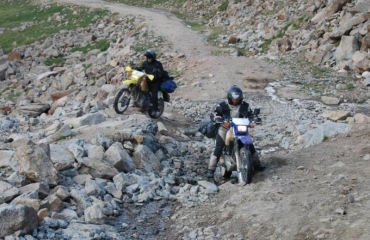 Trip scheduled for quads, UTV vehicles and motorcycles. 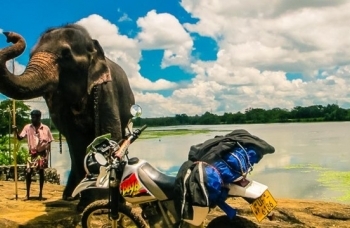 Anything not listed under "Price includes"
You are only interested in transport CLICK HERE! 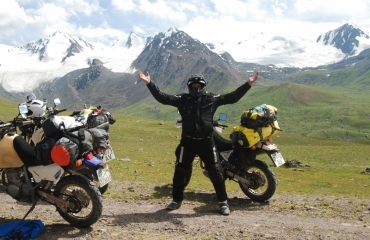 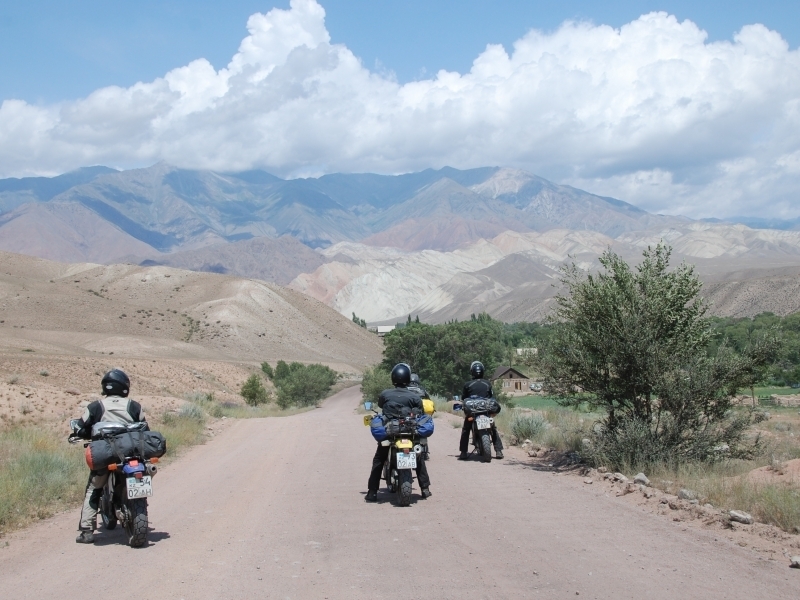 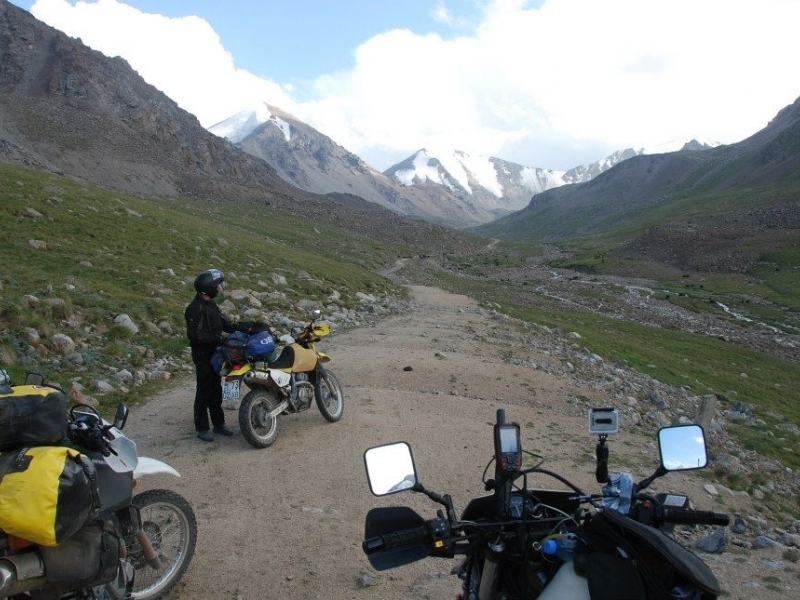 The first day of our motorcycle trip to Kyrgyzstan. 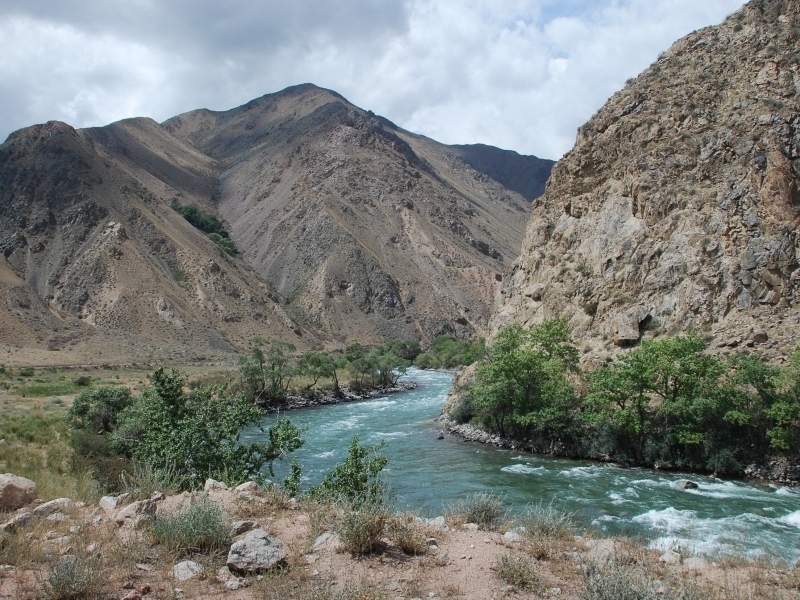 Arrival to Bishkek. 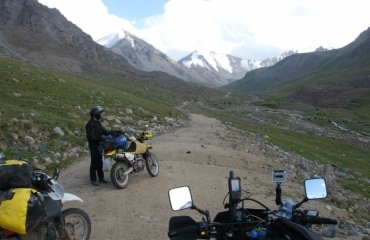 We pick up our expedition gear and head for Chunkurchak Gorge. 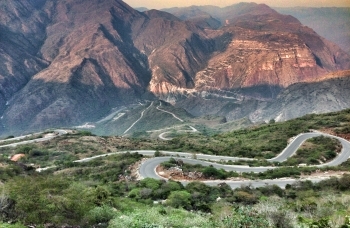 The town is situated 1800 m above sea level, between mountain slopes and glades. After rest is planned a traditional meal and familiarize with the itinerary. 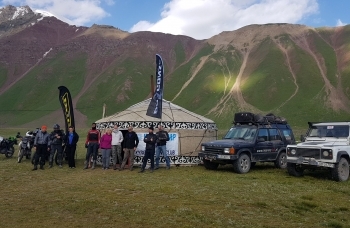 After breakfast our 4x4 expedition in Kyrgyzstan is heading towards the Suusamyr valley - a beautiful mountain valley located in the center of the Tien Tien Mountains. 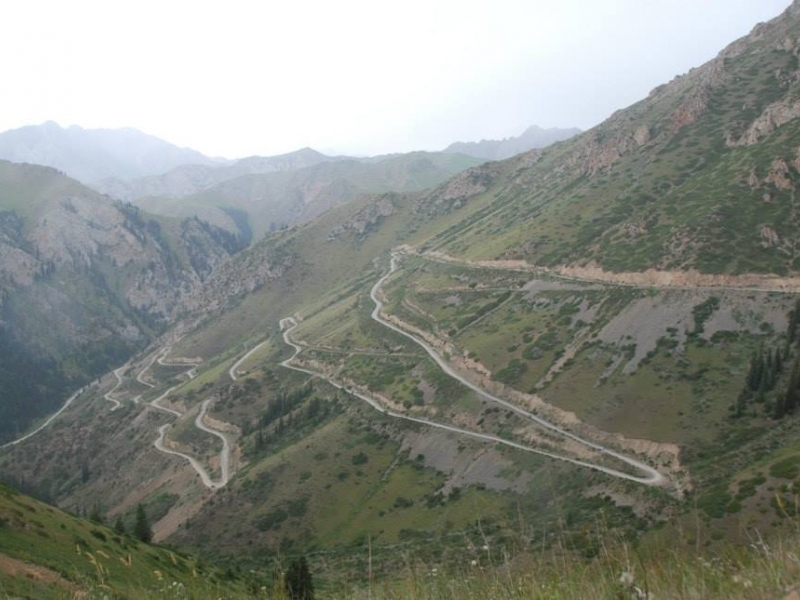 The road to Suusamyru passes through the Pass of the Too-Ashuu Pass (3000 m) and is considered one of the most beautiful places in Kyrgyzstan. 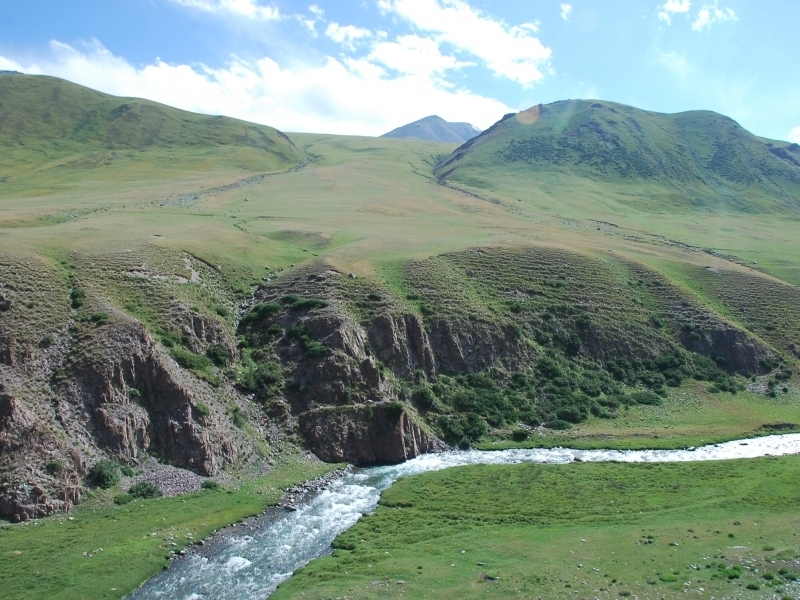 From this height you can see an amazing panoramic view of the Suusamyr valley. 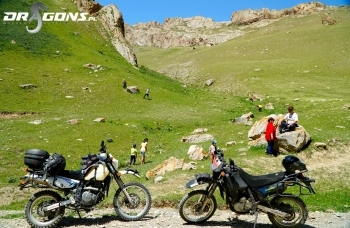 We will stop for a picnic and fresh coffee. 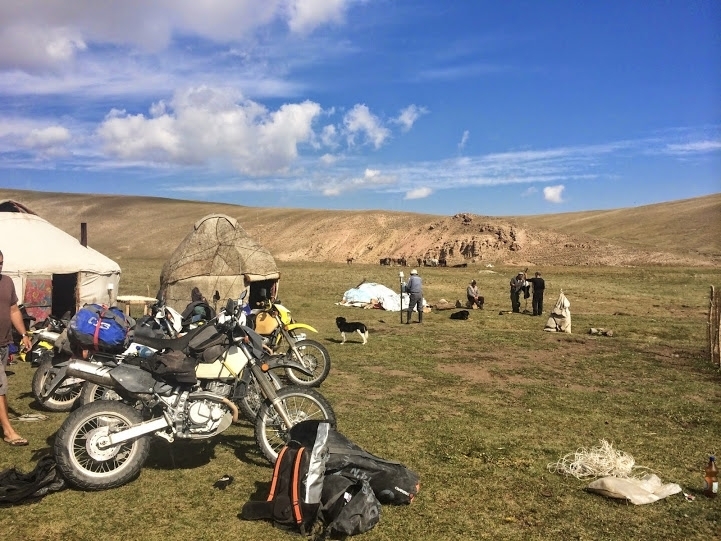 We finish our motorbike trip after reaching the Suusamyr valley and staying at the guest house. 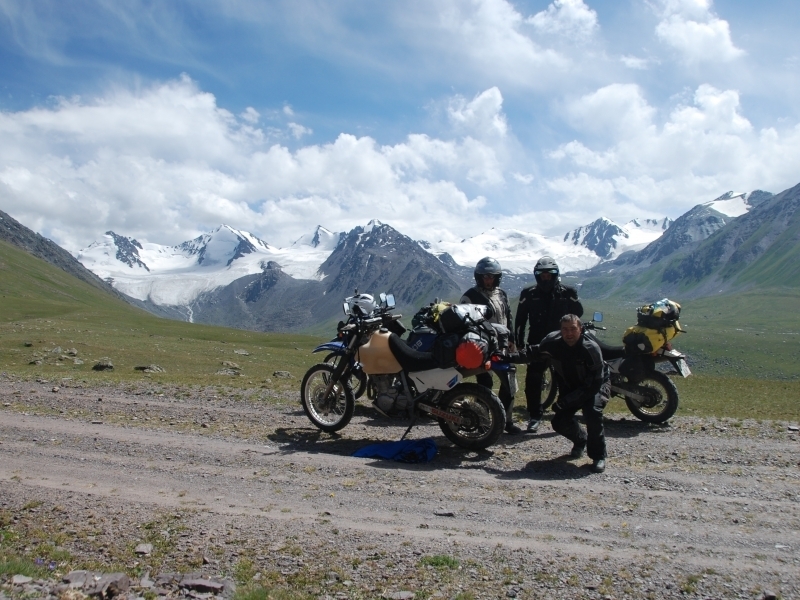 After breakfast we prepare for a long motorcycle ride to the beautiful Song Kul lake. 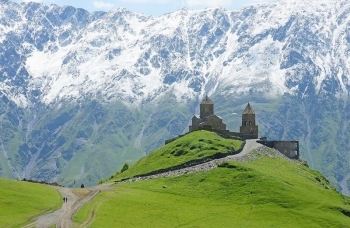 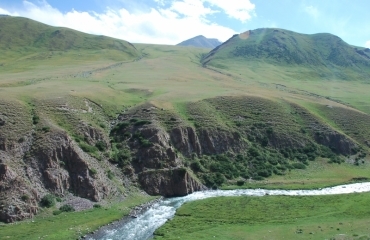 Situated at 3000 m above sea level, Song Kul is called the Tien-Shan Mountain miracle. 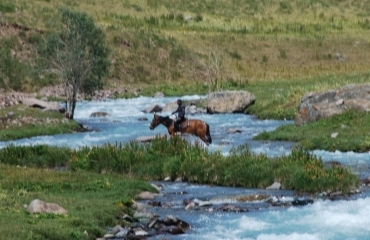 The amazing lake is surrounded by mountains and pastures. 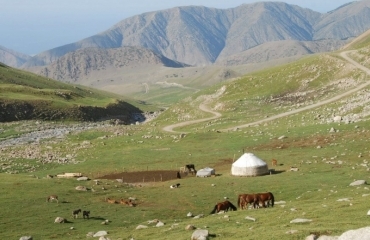 Here we can see snow white traditional yurts and shepherds who breed horses and sheep. 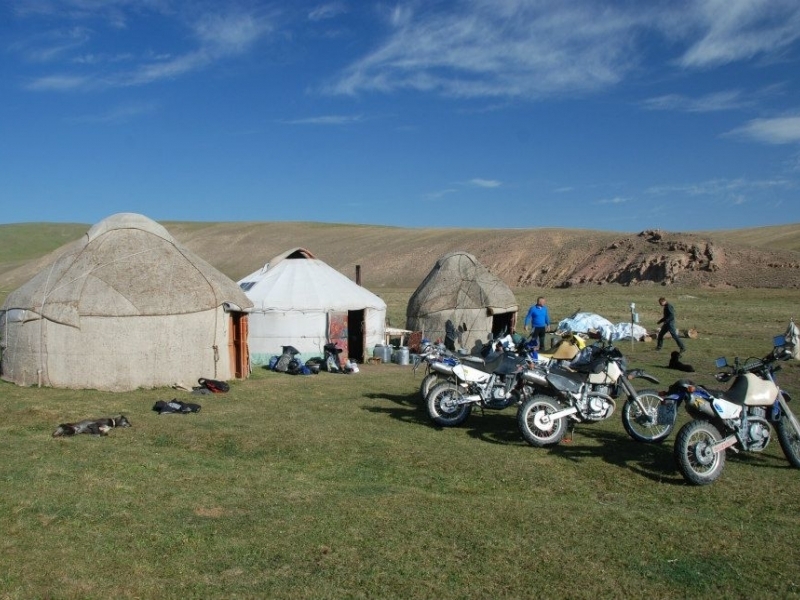 In the evening, a motorbike trip will take us to the lake, where we spend our night in a yurt - a traditional nomadic house. 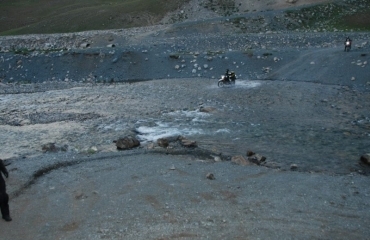 Out of Lake Song Kol, a 4x4 expedition and UTV are shuffling towards Kyrgyzstan's border with China on Lake Chatyr Kol, called "Lake on the Roof." 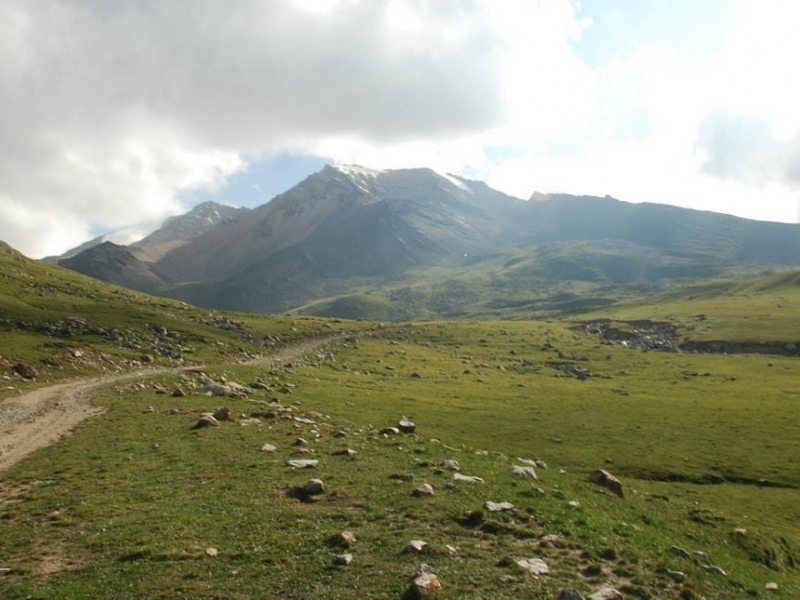 Great place for trekking. We sleep in tents or yurts on the lake. 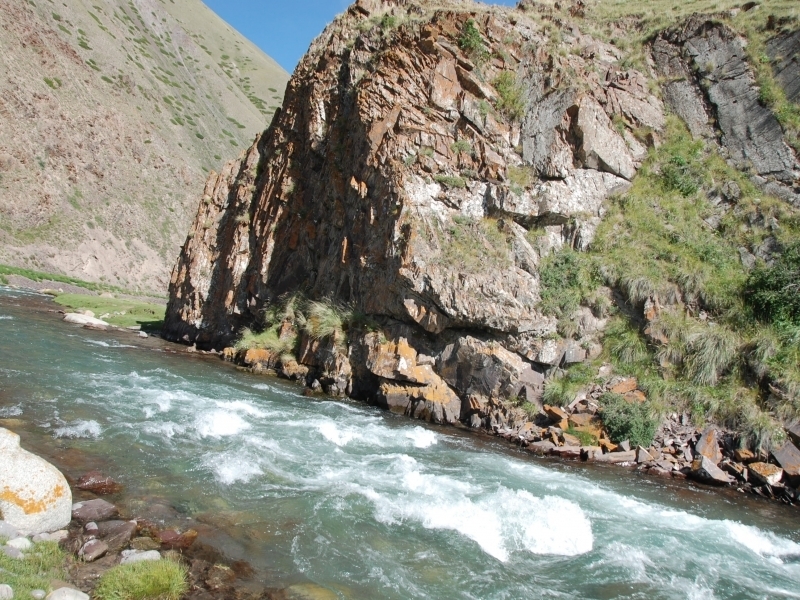 We fare with Chatyr Kol and we set out to see and take pictures of ancient frescoes and murals in the caves near by. 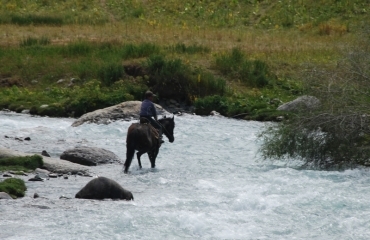 On the way we will be able to admire the beautiful view of Song Kol from the top of the mountain. 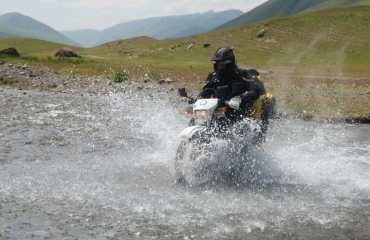 We continue our motorbike and buggy trip to Naryn. 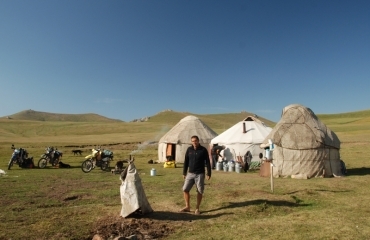 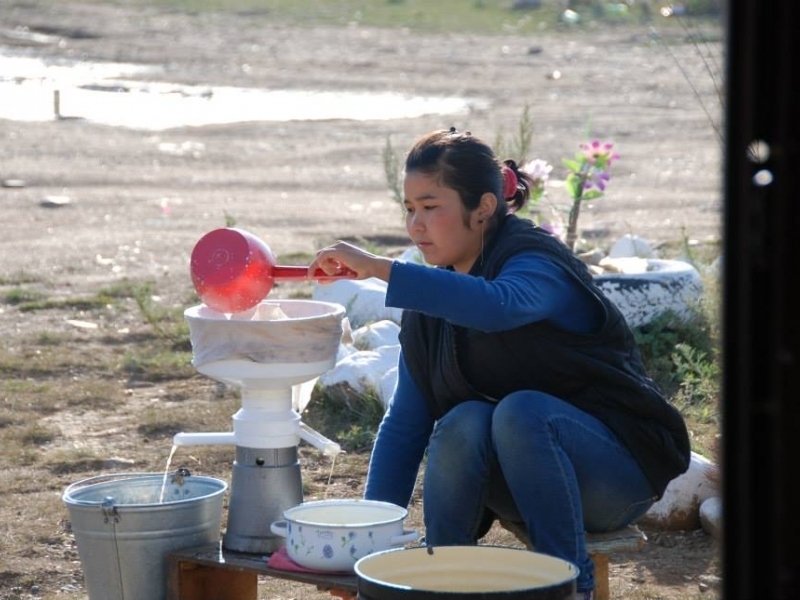 On the way, it is possible to meet Nomads and learn something about their lifestyle and work style. 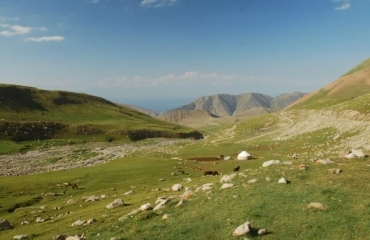 Dinner in the form of a picnic in the mountains. 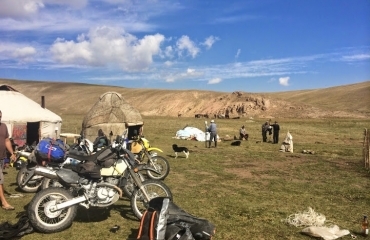 Once you reach Naryn the hotel accommodation. 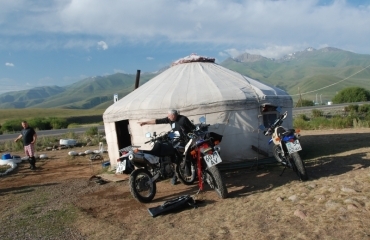 We are resting and gaining energy for the next motorbike days in Kyrgyzstan. 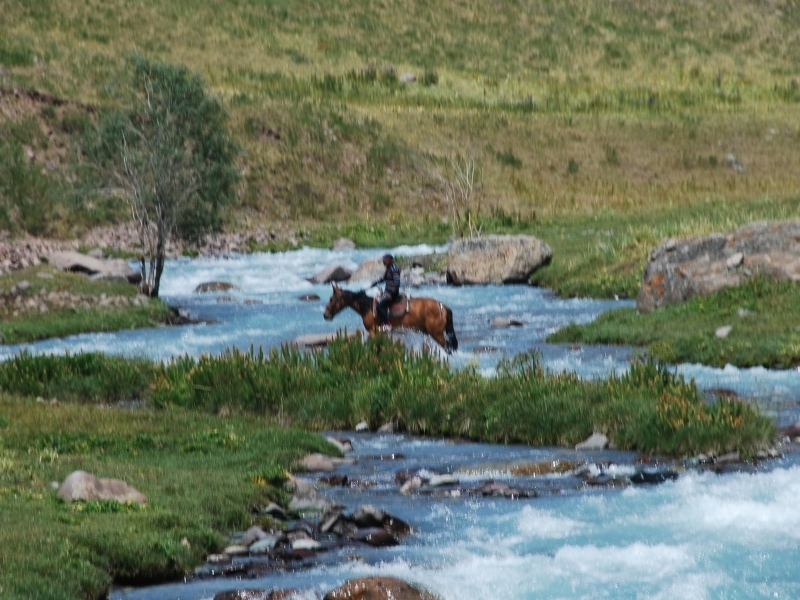 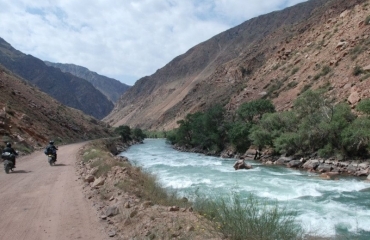 Our off-road expedition after Kyrgyzstan goes today along the Naryn River, the longest river in Kyrgyzstan (535 km long), to the Kichi Naryn River, where we take a breath-taking break and observe the amazing nature of the region. 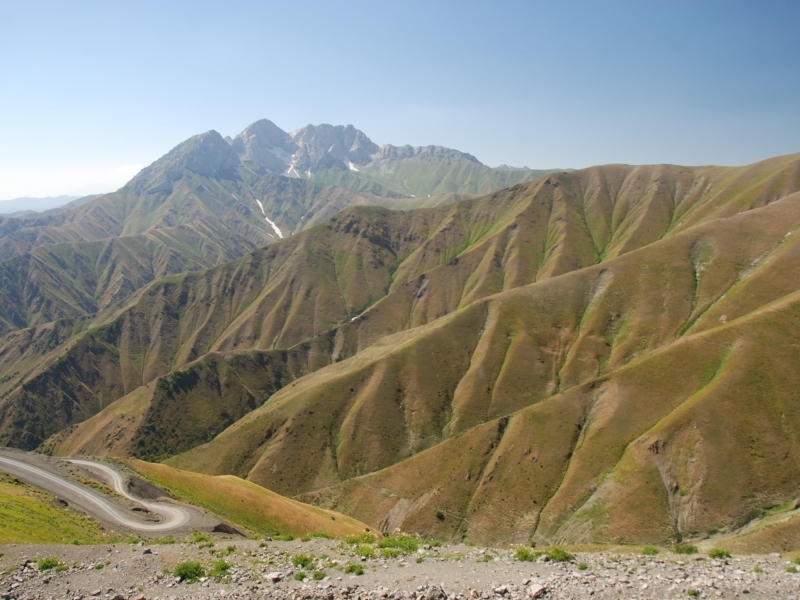 After a few hours of driving, we begin to emotionally drive through the Tosor Pass (4020 m). 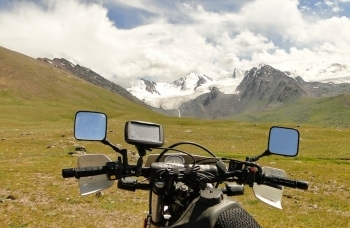 Along the way we will be able to observe the unique beauty of Tien-Shan central mountains. 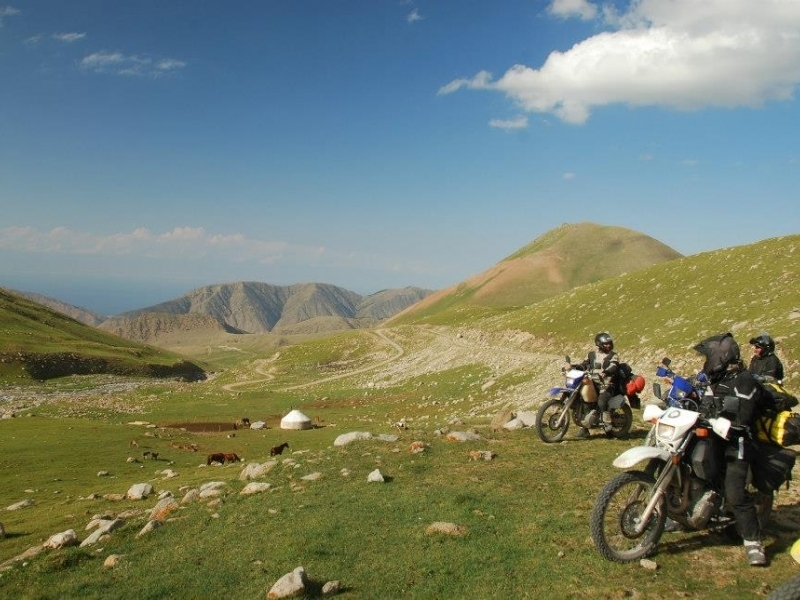 From the height of the Tosor Pass you will enjoy panoramic views of Issyk-Kul Lake, considered as the pearl of Central Asia. 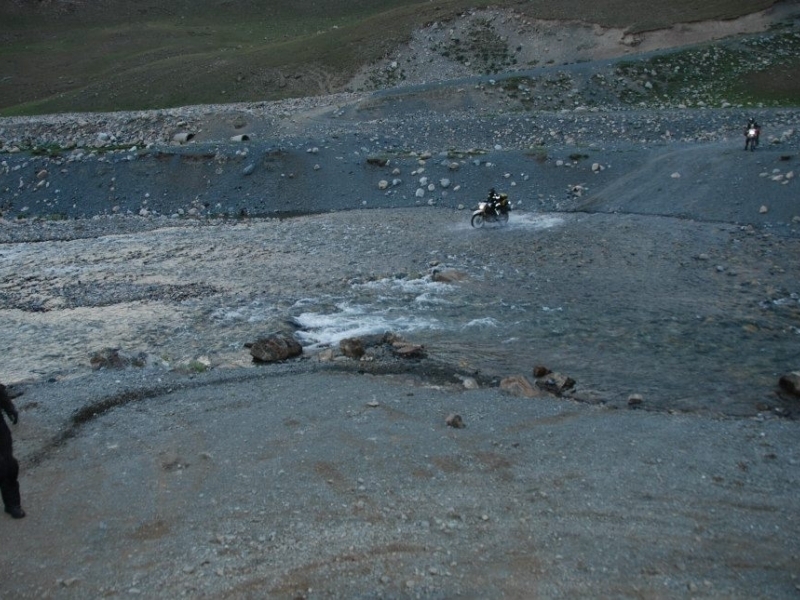 In the evening, a 4x4 expedition arrives overnight. 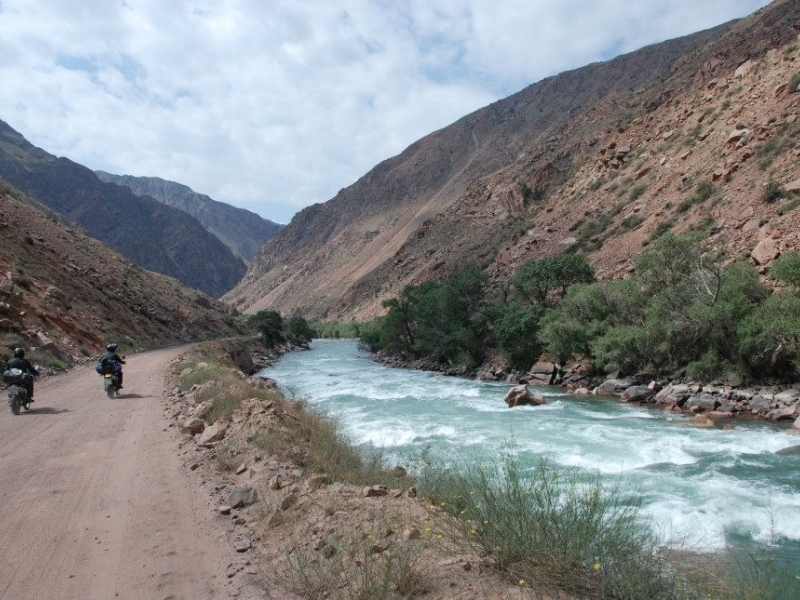 Another day of our motorcycle trip after Kyrgyzstan. 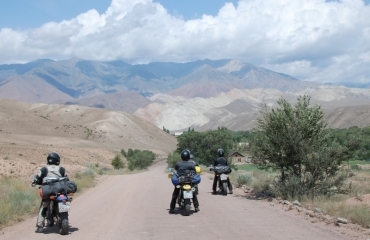 We ride along the shores of Lake Issyk-Kul towards the Orto Tokoy reservoir. 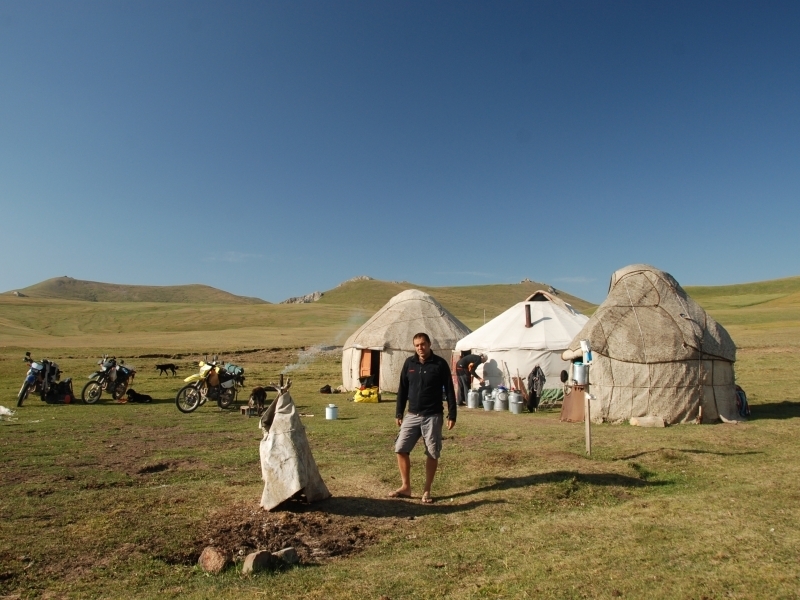 We spend the night on the Orto Tokoy in tents or yurts. 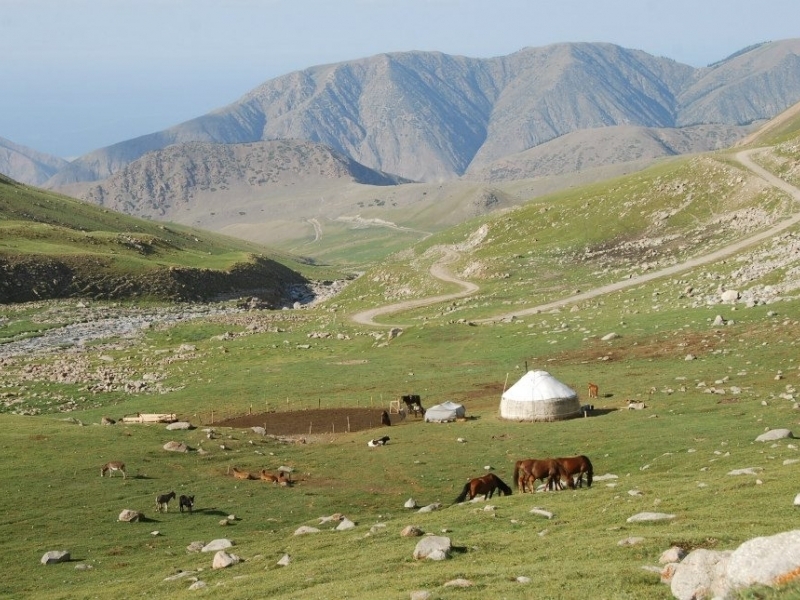 On this day we spend some time on Orto Tokoy admiring the mountains surrounding us and the unique nature of Kyrgyzstan. 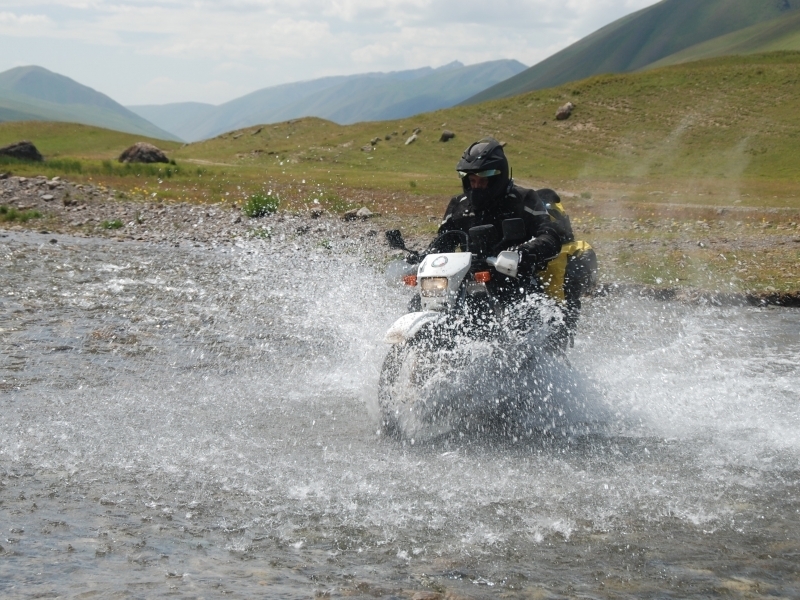 Unfortunately, our UTV expedition after Kyrgyzstan is aiming inexorably towards the end. 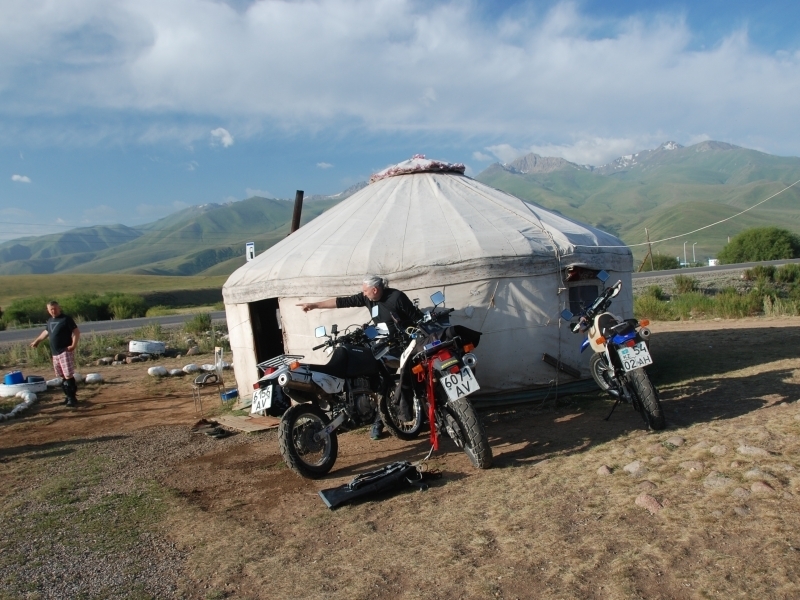 We return to civilization :) Last, short stretch of our motorcycle trip in Kyrgyzstan. 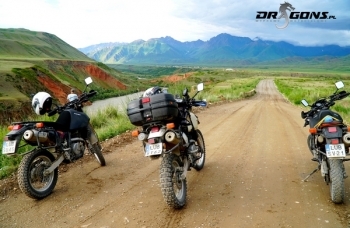 We give back our equipment, have a farewell dinner and pack back to Poland. 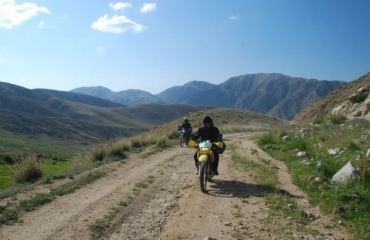 We are finishing our off road trip to Kyrgyzstan. 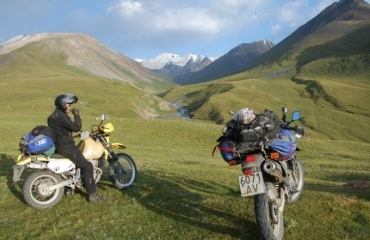 All beautiful landscapes, people encountered, experiences, emotions are in our memory. 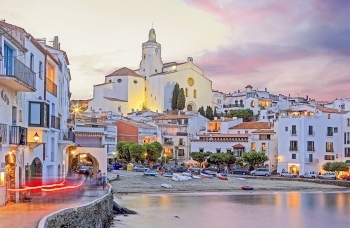 We will definitely return again and again. 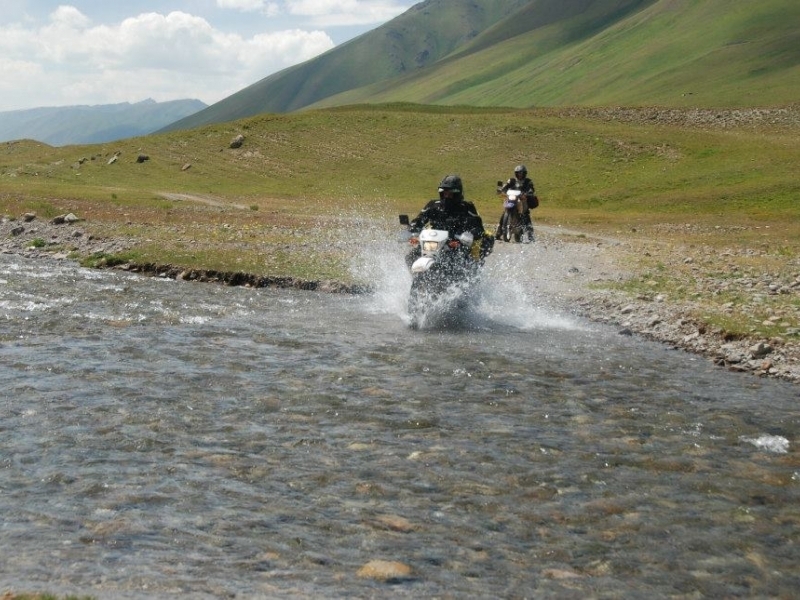 We are good in Kyrgyzstan. 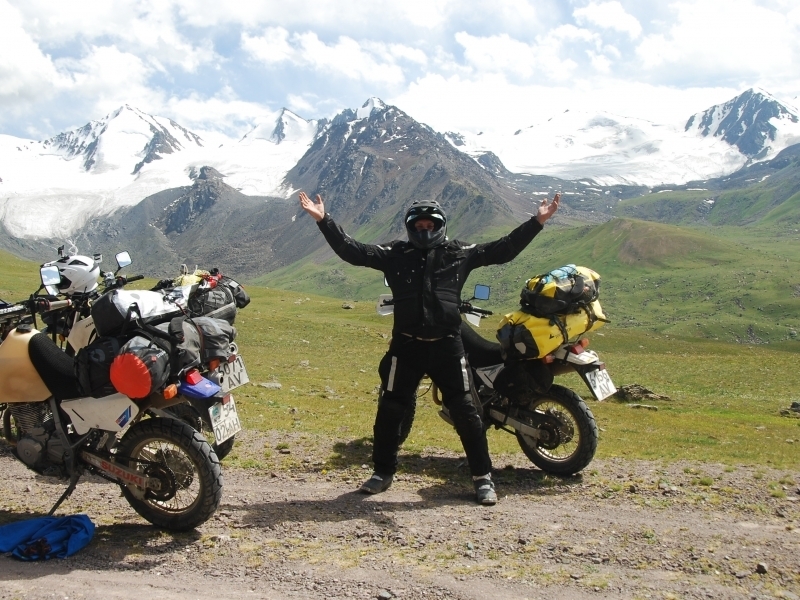 Departure to Poland. 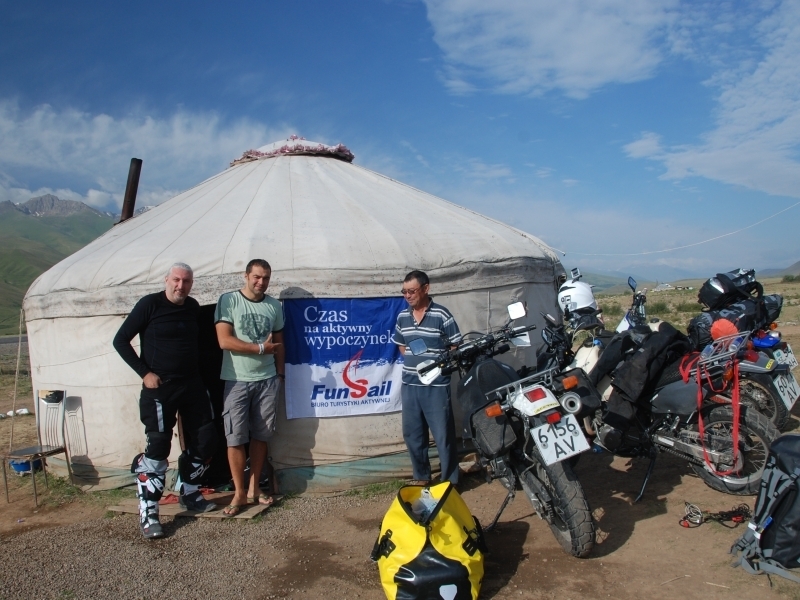 Bishkek - the first city on our motorbike tour to Kyrgyzstan. 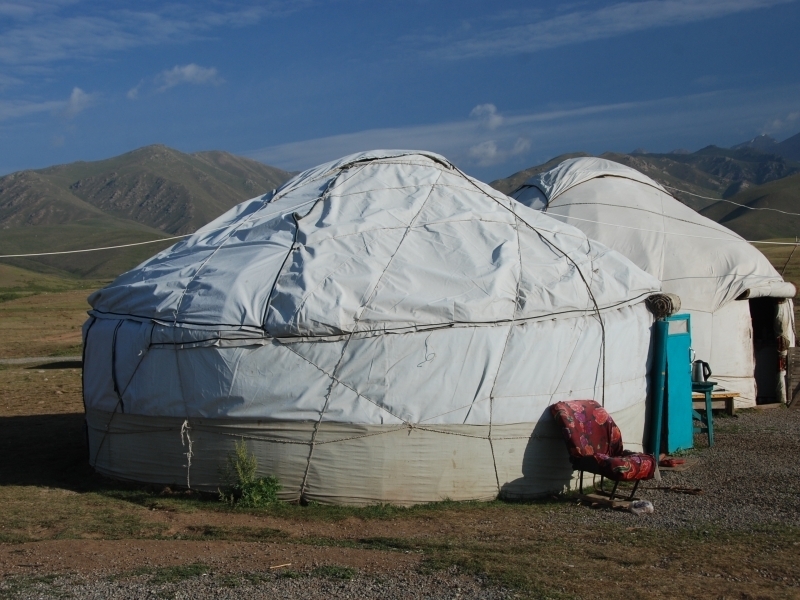 It is also the city of our air services. 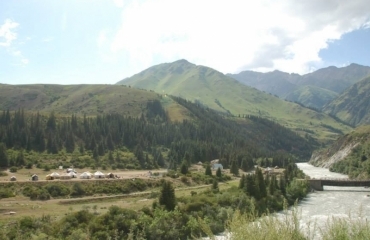 The city is located at the foot of the Kyrgyz Mountains (Tien-shan) in the valley of the river Czu, on the rivers Alaarcha and Alamedin, north of the city crossing the Great Chukhov Canal; Close to the border with Kazakhstan. 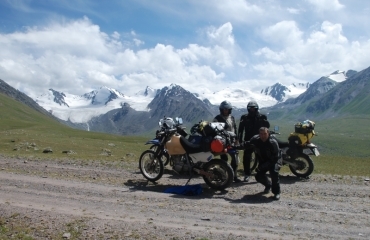 The Too-Ashuu Pass - 3586 meters above sea level, parallel to Kegeta Ashuu pass, covered with rocky pavement, a rather difficult route can reward incredible views of Suusamyr and Song Kul Lake. 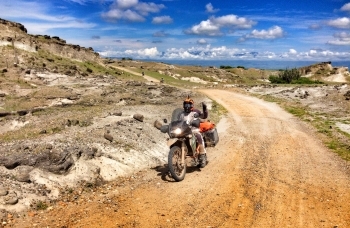 Kegeta Ashuu Pass - 3780 m altitude - a motorcycle journey through a gravel road leading to the passage requires a lot from both the driver and the equipment, all but rewarding beautiful views. 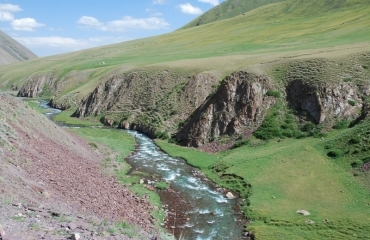 Suusamyr - a valley situated among the steppes, used as a pasture by the surrounding nomads. 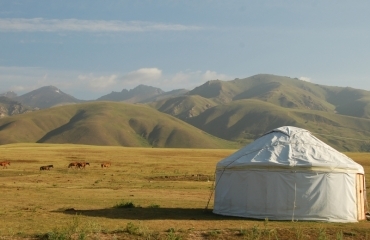 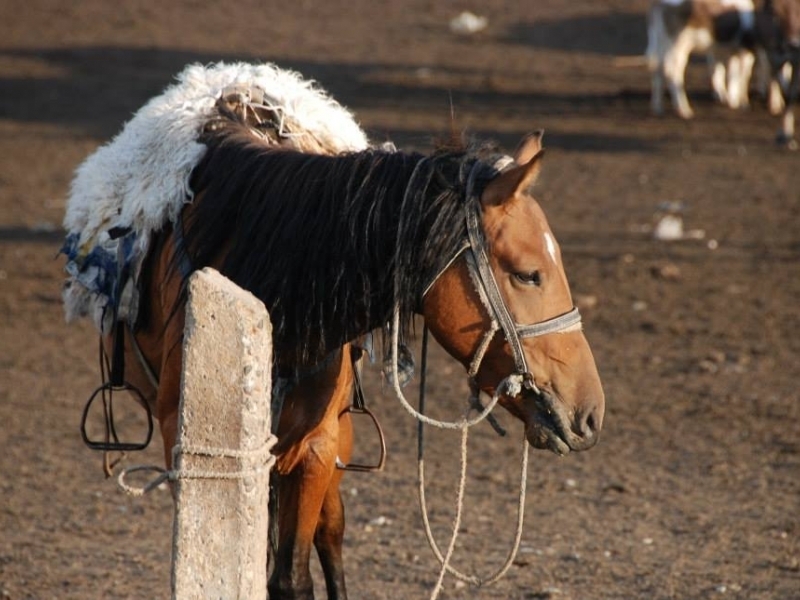 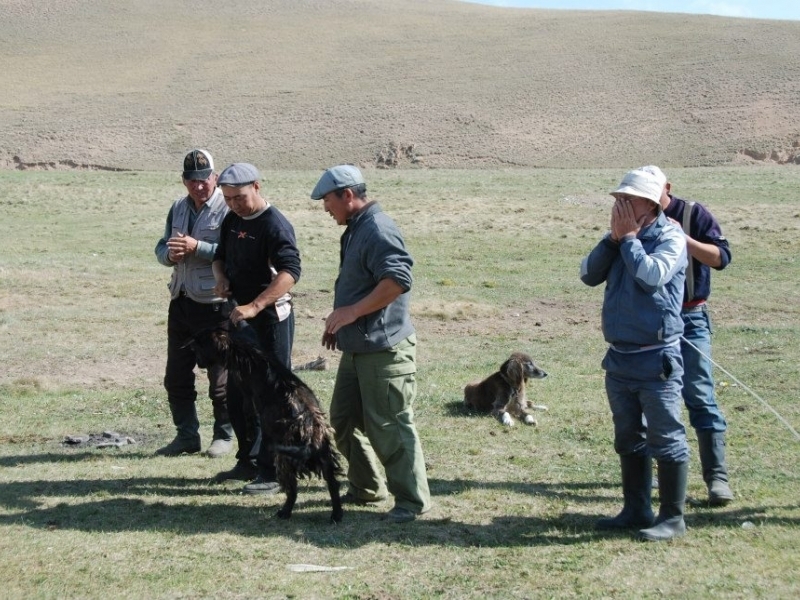 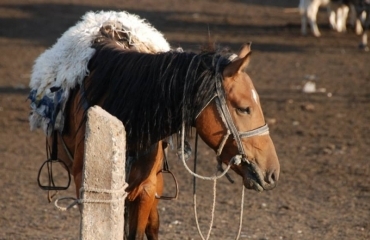 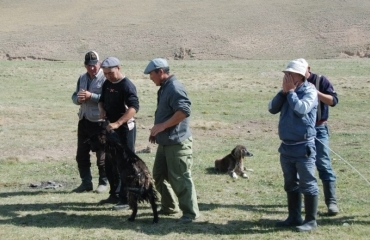 Kyzyl-Oi is located at an altitude of about 1200 m above sea level, on a Silk Road mountain village. 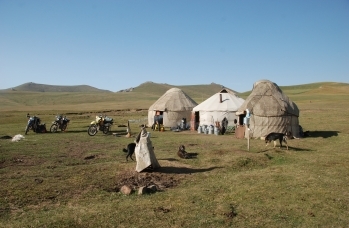 It draws special attention to the construction of traditional huts and the red tint of the surrounding hills. 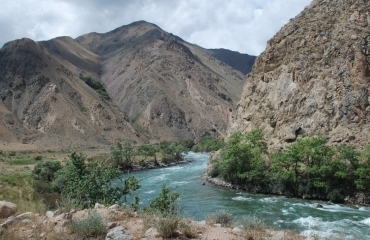 The village lies on the Kokomeren River, where you can go for a full-fledged rafting experience. 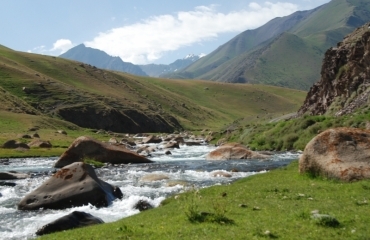 Song Kul lake in the Tienshan Mountains in Central Asia, 3016 m above sea level. 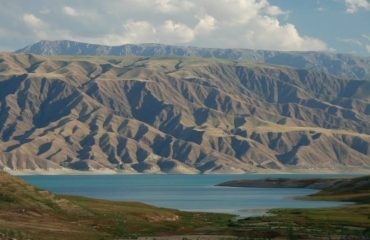 The second largest lake in Kyrgyzstan. 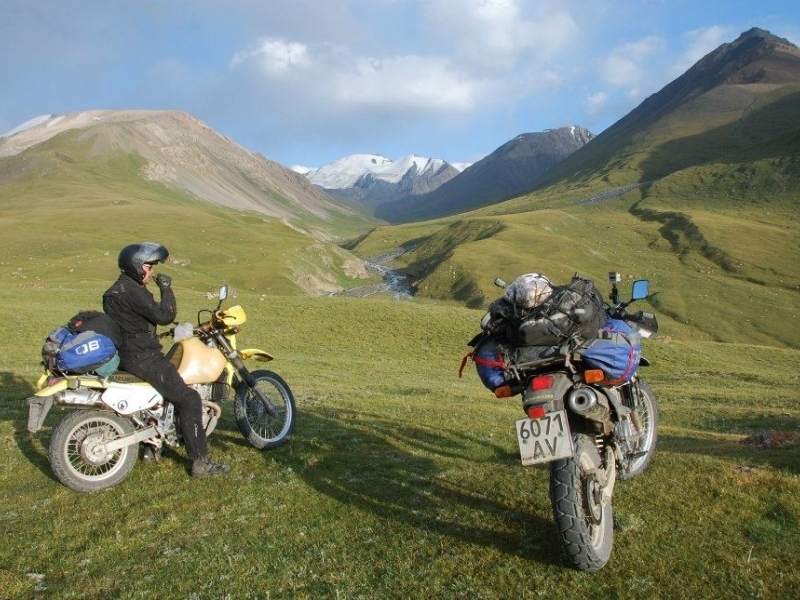 The sight of the blue of the Song Kul lake, reflecting the rays of the setting sun, will pay for everything, but before our motorcycle trip to Kyrgyzstan arrives, we need to get some rest. 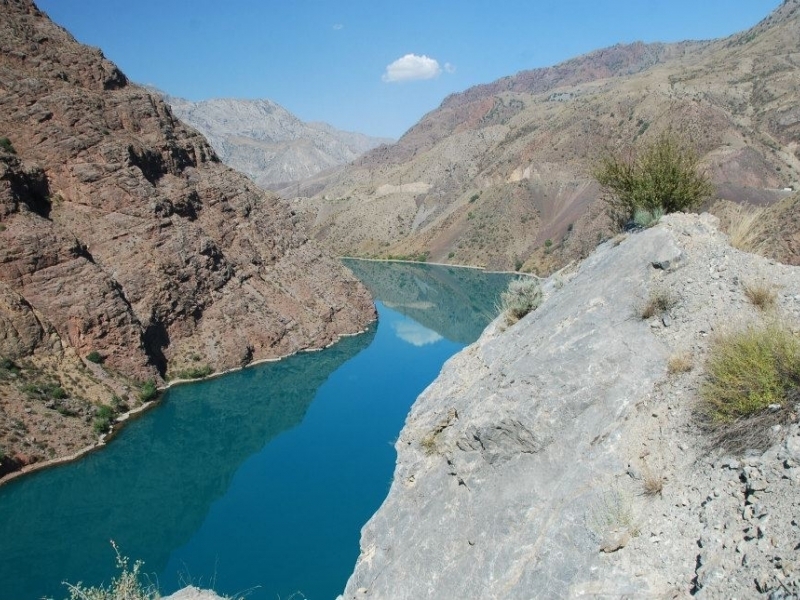 Kol-Suu is a lake in the Atbasi area of ​​Naryn province in south-eastern Kyrgyzstan. 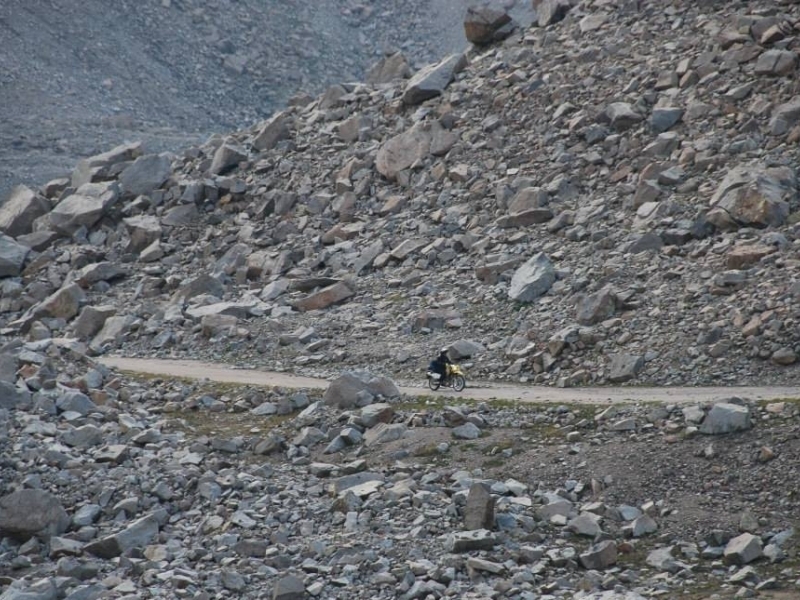 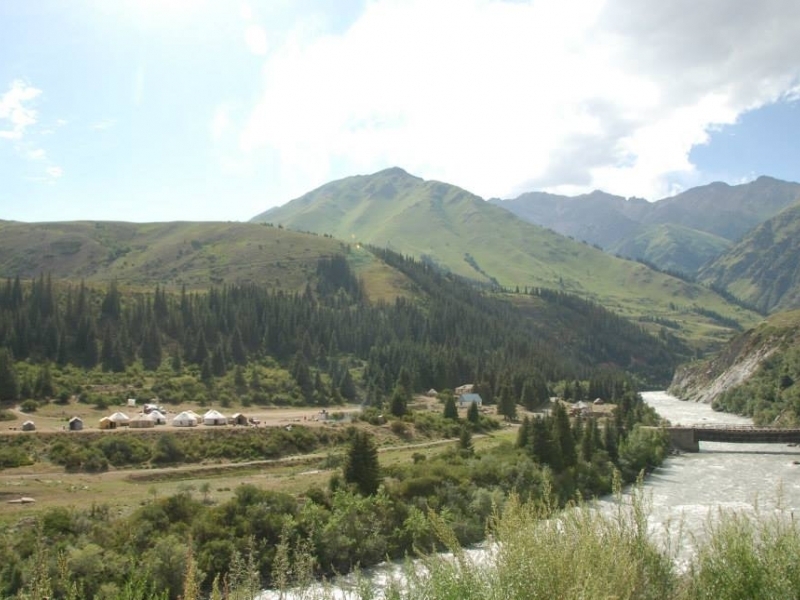 Located at an altitude of 3500 m above sea level in the Tian Shan Mountains. 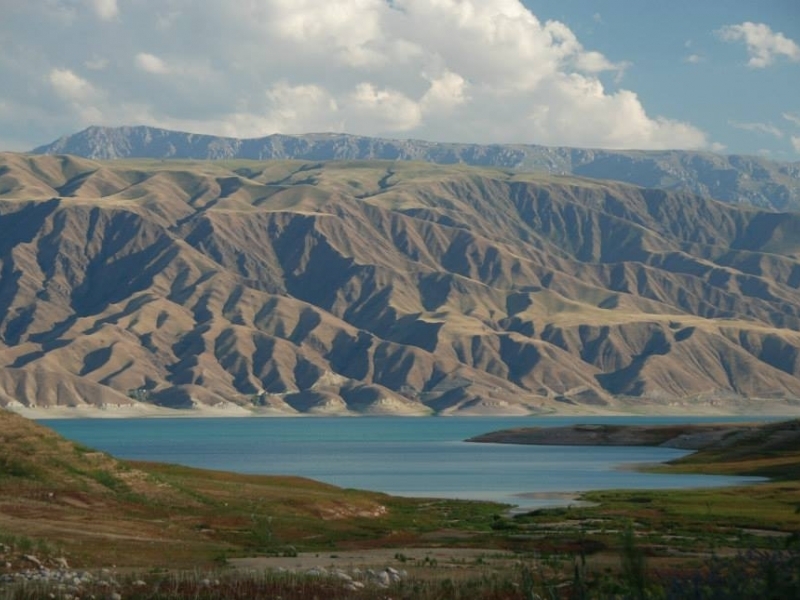 Kyrgyzstan abounds in beautiful and unique places, and Kel Suu Lake is certainly one of them. 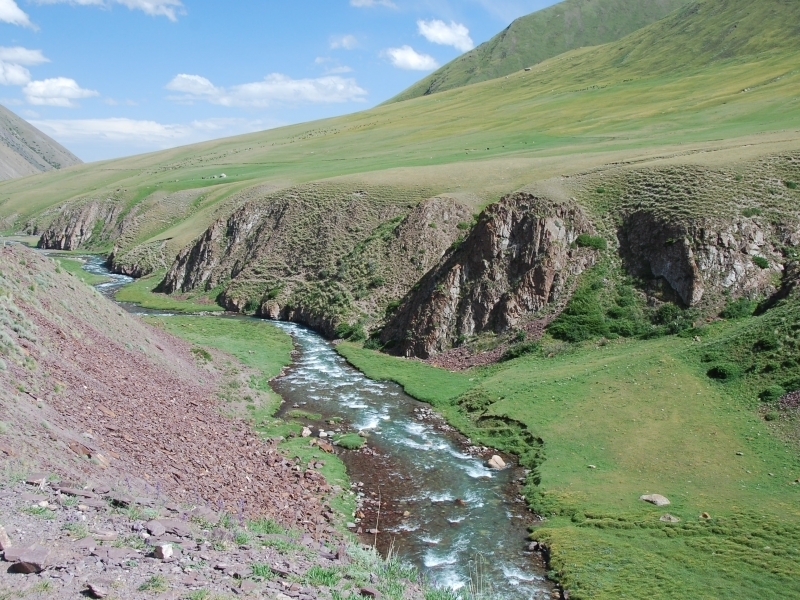 The lake in Kol Suu has a fresh, greenish shade. 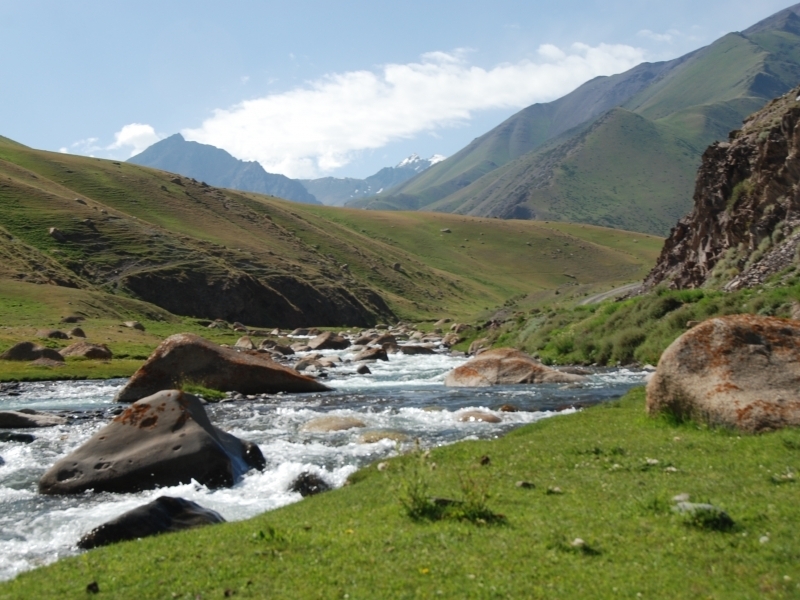 Chatyr-Kul is a mountain lake in Tian Shan, in the Atbasi region of Naryn province. 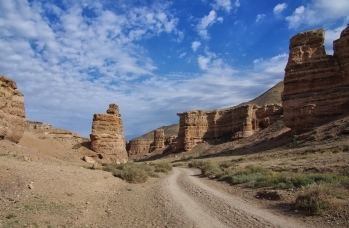 It is located near the border with China. 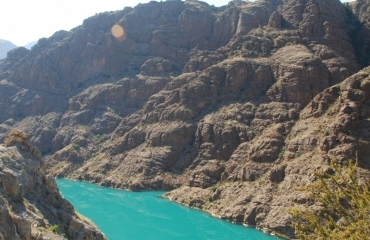 Part of the lake is the State Nature Reserve. 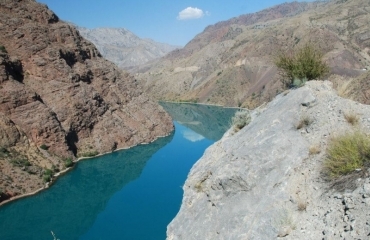 In this area the maximum summer temperature is 24 ° C and in the winter is -50 ° C. From October to the end of April the surface of the lake freezes. 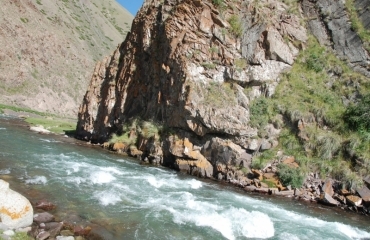 Water Chatyr Kul is yellow-green with water transparency up to 4 meters. 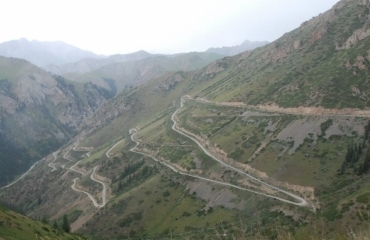 The Tosor Pass, located at an altitude of nearly 4000 meters above sea level, offers incredible views of the nearby Issyk-Kul lake. 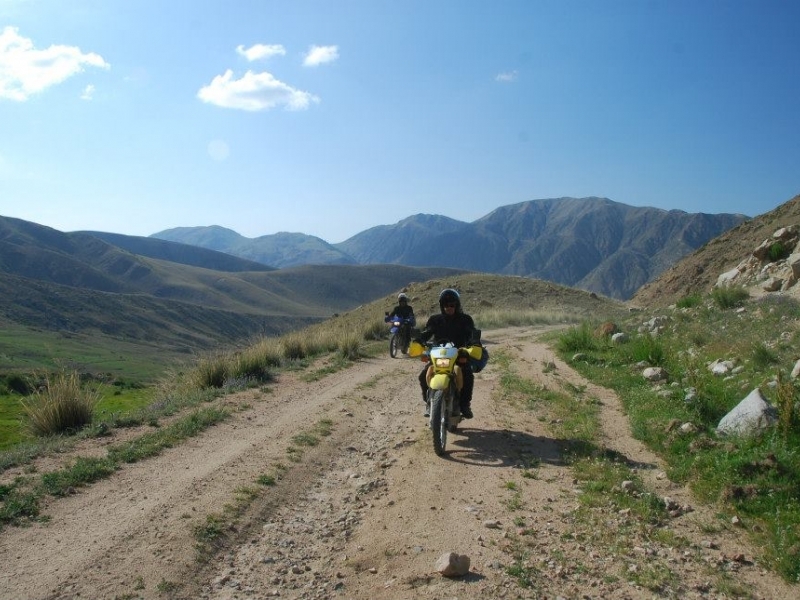 Gravel road and wildlife is an unforgettable experience for anyone wishing to experience "wild" Kyrgyzstan. 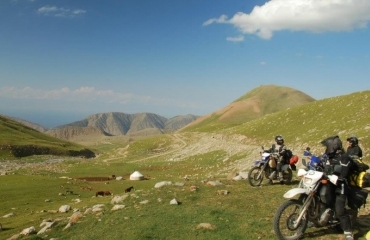 Issyk Kul- the largest lake in Kyrgyzstan, which we will visit during a motorcycle trip. 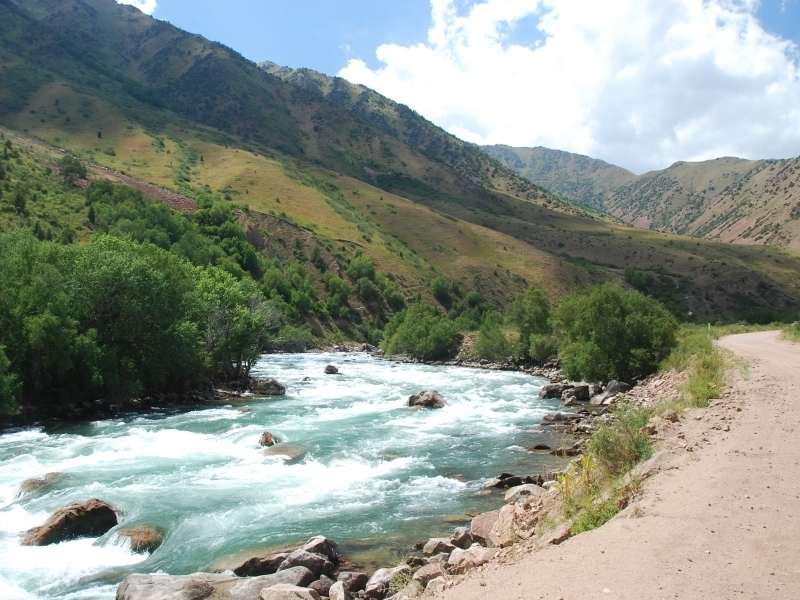 The lake is located in the mountainous valley of Tien Shan, 126 km from Bishkek, the capital of Kyrgyzstan. 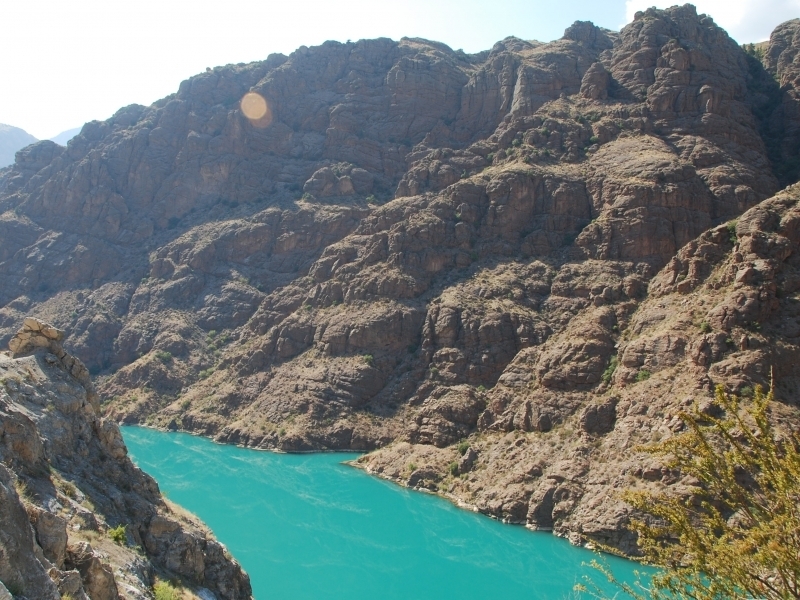 Around the lake there are plenty of sanatoriums where visitors bathe in tubs or pools filled with hot spring water with a sharp smell of sulfur. 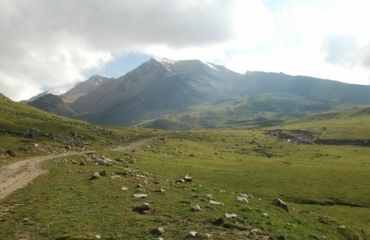 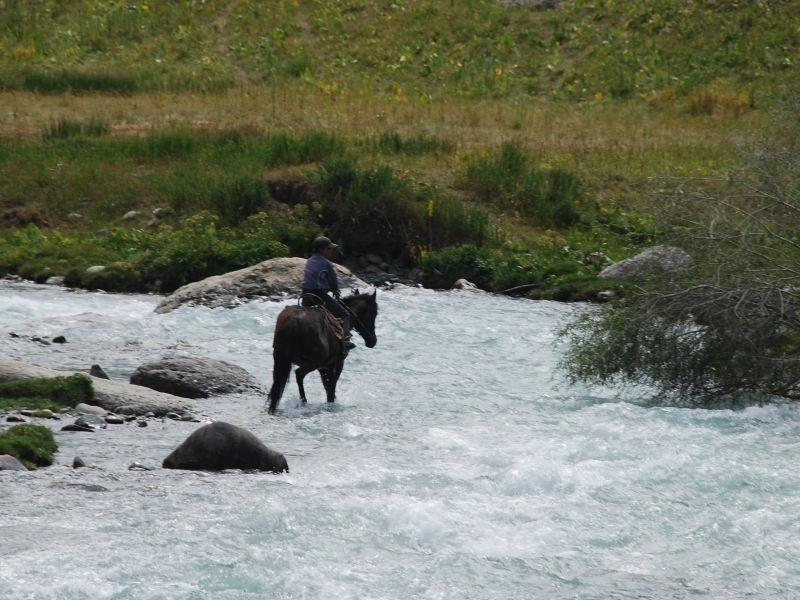 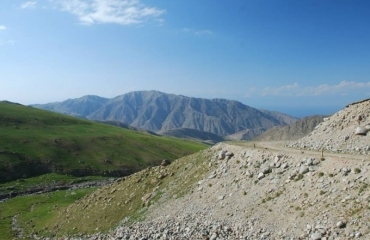 Tong Pass- picturesque, pass ideal for trekking, about 75 km long, located near Issyk-Kul lake. 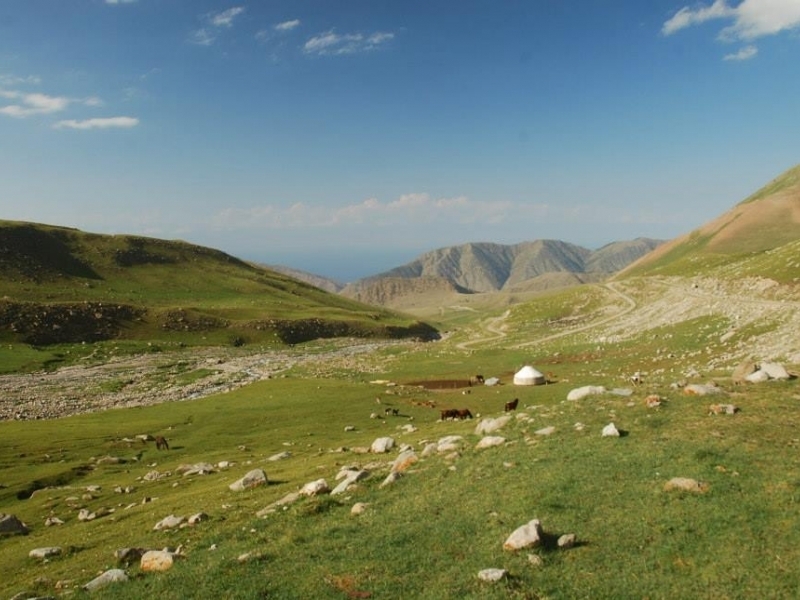 Orto Tokoy - surrounded by mountains and wild nature Lake Orto Tokoy is a nature reserve and a natural monument of virgin Kyrgyz lands. 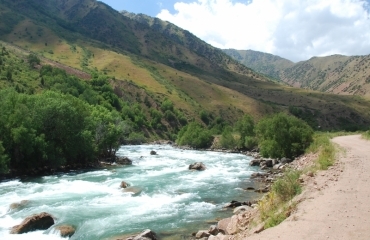 Tokmok - a city in northern Kyrgyzstan, on the river Czu, east of Bishkek. 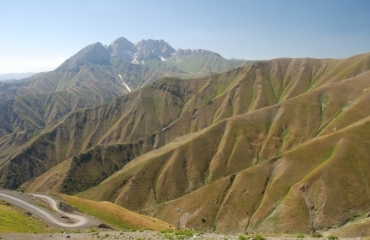 Tokmok is the administrative center of the peripheral circuit. 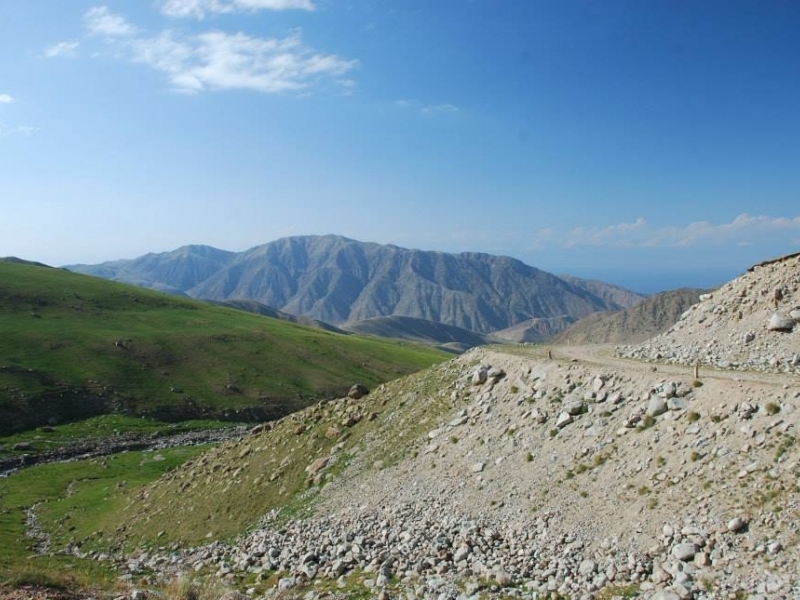 It has about 75.000 of residents.